Upon further inspection, I found that the fine folks at Atomic Garden offers a ton of other cool products as well. 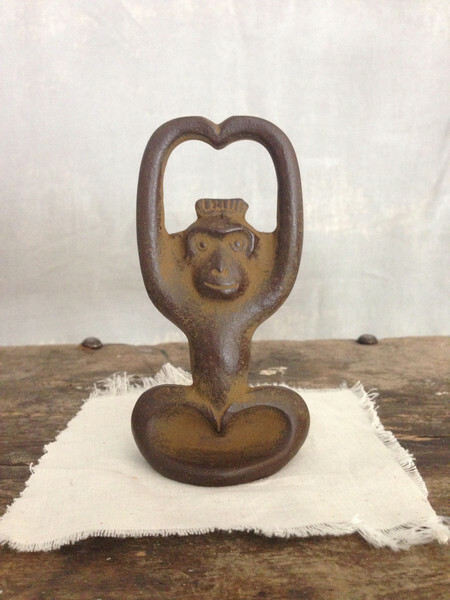 Learn more about Atomic Garden and see all their fine products here. I went to the wonderful Farmers Market in Overland Park, KS yesterday and bought some fresh spinach and herbs. I remembered a recipe I wanted to try – this recipe for Spinach-and-Herb Pastatta I found in Southern Living magazine, and whipped it up last night. The recipe calls for frozen spinach, but my fresh spinach worked just perfectly. I also replaced the TEN eggs with egg substitute and it worked out just great. Now I can add Spinach-and-Herb Pastatta to the long list of perfect summer comfort food. 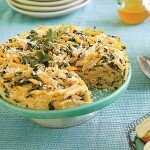 Find the recipe for Spinach-and-Herb Pastatta from Southern Living here. See the recipe for Spinach-and-Herb Pastatta from My Recipes here. Check out all the cool find from Southern Living Magazine here. I’ve been on WAY too many planes over the past few months. The good news is I have a ton of frequent flyer points and priority access on Southwest – not my favorite airline but the only real option in and out of Kansas City from Boston. Anyway, I love looking out the window down on out great country. 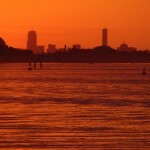 Every now and then I snap a picture or two out the window – here are a few of the photos I’ve captured recently. I have been able to get out to explore my new city a little more now that the summer weather has finally arrived. 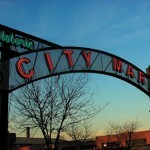 I have to tell you, there is a lot more to Kansas City than may meet the eye at first glance. 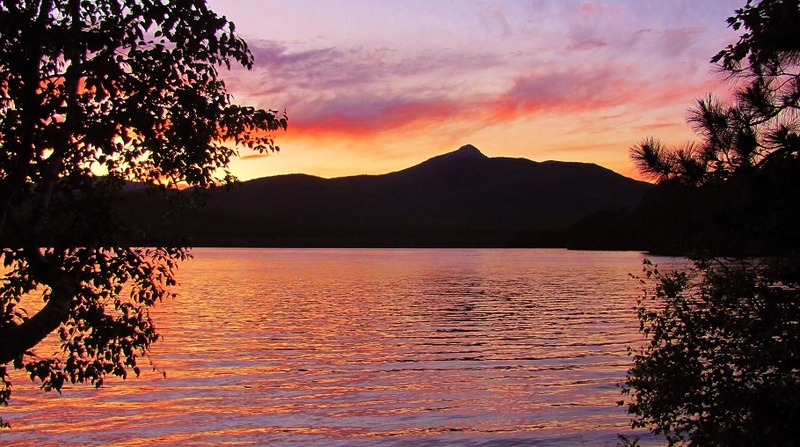 Today, I present a few of the local attractions that I have enjoyed and that any visitor to this neat little city might want to check out. 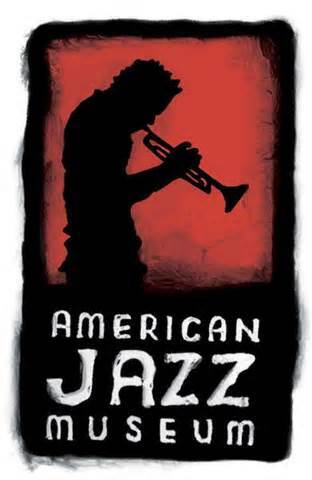 The Smithsonian-affiliated American Jazz Museum is everything you would hope for in such a museum – truly a great experience that makes you appreciate the true American art form that is Jazz more than ever before. The American Jazz Museum is located at 1616 E. 18th Street in the great city of Kansas City, MO. 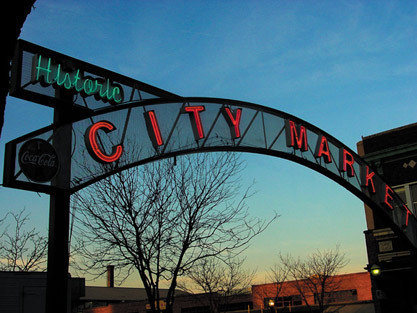 The City Market is located at 20 E. 5th Street, Suite 201, in the great city of Kansas City, MO. 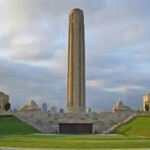 First there is The American Jazz Museum, and then there is the National World War I Museum at Liberty Memorial – which is a fitting tribute to the Great War which is now being marked as starting 100 years ago this year. 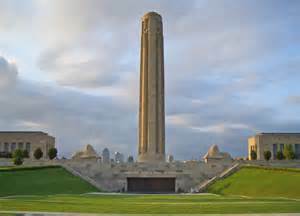 The National World War I Museum at Liberty Memorial is located at 100 W. 26th Street in the great city of Kansas City, MO. When you have had your fill of touring markets and museums, you can rest and revive at the Maker’s Mark Bourbon House and Lounge – seriously, any restaurant named after one of my favorite bourbons is ok by me. 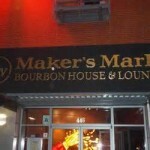 Maker’s Mark Bourbon House & Lounge is located at 1333 Walnut Street in the great city of Kansas City, MO. I went to prep school. There I said it. Yes, a New England prep school back at the height of the preppie invasion known as the 1980s. So yeah, I may be an aging hipster, but definitely a hipster with preppie tendencies. Which is most likely why I fell in love with the fine folks at Ivy Prepster. 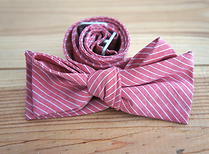 Ivy Prepster offers many fine accessories for preppies and wanna-be’s – but you can’t beat their line of bow ties. 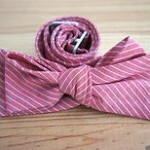 Learn more about the Ivy Prepster here. This Saturday will mark the 100th anniversary of the assassination of Crown Duke Ferdinand in Sarajevo, an event that every school child of a certain age knows was the event that led to the First World War. The centenary of this event will surely start an arc of remembrance for what was once called “the war to end all wars” and I for one am pleased about this. Not pleased to relive this horrific chapter in our history, but to bring attention to a war that has been long overshadowed by later conflicts. The stories of WWI deserve to be told. Anyway, the wonderful new “book” – The Great War: July 1, 1916: The First Day of the Battle of the Somme by Joe Sacco – goes a long way by brilliantly bringing one of the Great War’s most epic events to life for a new generation. Mr. Sacco depicts the great battle without writing a word, yet conveys the emotion, the horror, and the futility of war with his stunning artwork. Not quite a book, not quite a graphic novel, The Great War is just simply a work of art that tells a story as compelling as any novel or work of history. 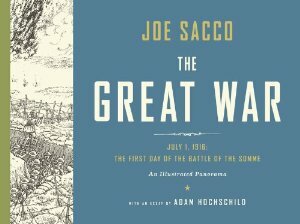 The Great War: July 1, 1916: The First Day of the Battle of the Somme by Joe Sacco is available from Amazon and other fine book retailers. I figured that eventually I would find out what attracted me to the prairies of Kansas. Well I think I may have discovered it at long last: there is a big movement here to produce small batch whiskeys and bourbon. I’m in! Back in the Wild West days, Kansas was a hotspot for whiskey. You know all those saloons in old western movies? That’s Kansas – as in Dodge City which was known as “the town to be born from a barrel of whiskey.” At some point Kansas became very conservative, perhaps to escape the image of whiskey-fueled gunfights, and became one of the driest states in the union. Although still way more conservative than most of the country, Kansas is not nearly as dry as it used to be and there is a renaissance in the distillery business here these days. For example, the fine folks at Dodge City Distillery have a wonderful locally produced spirit: Dodge City Distillery’s Double Barrel Bourbon Whiskey. 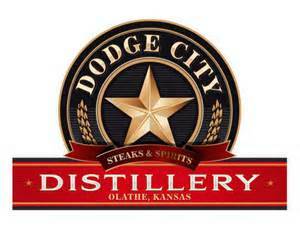 Visit Dodge City Distillery online here. 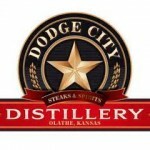 Learn more about Dodge City Distillery’s Double Barrel Bourbon Whiskey here. Meanwhile, the fine folks at the Dark Horse Distillery (just across the Missouri River in Kansas City, MO) has been producing their own brand of locally distilled beverages since way back in 2010. Try Dark Horse Distillery’s Reserve Bourbon Whiskey. Visit Dark Horse Distillery online here. It seems crazy but it has been five months since my trip to Argentina in January. It was a crazy time for me. Celebrating Christmas and New Year’s and the heading straight down to summer in Buenos Aires (where it was very hot). Then returning to New England for the coldest winter in years and then moving to Kansas City… See? A crazy five months. Anyway, every time I travel to Argentina I am reminded of mate, a yerba tea which is a traditional drink in much of South America. I have collected a few mate gourds and bombillas, which is are very cool metal straws with a sieve at the end that you use to drink mate, and the whole ritual of the drink is fascinating to me. 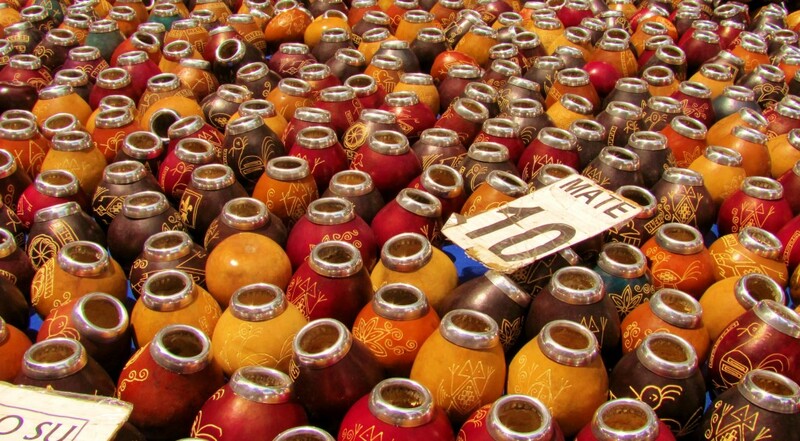 I have featured a few pictures of these mate gourd (including this great shot of gourds for sale at the San Telmo market) and have been asked many times about mate and the rituals surrounding it. 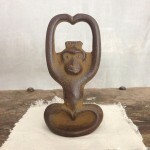 I always tell people what I know, but I recently came across a great primer about mate on the website of The Splendid Table, the fabulous weekly American Public Media Radio show. In the feature about mate in Argentina, host Lynne Rossetto Kasper interviews a couple who recently explored mate culture in Argentina and the site features some great tidbits about the drink. Definitely worth checking out. See all the great content of The Splendid Table here. Last weekend on a quick weekend trip back to New England (from my new digs in Kansas just outside of KC, MO), I had the great privilege of spending the evening with my dear friend Lynda and her husband in Weymouth, MA just south of Boston. 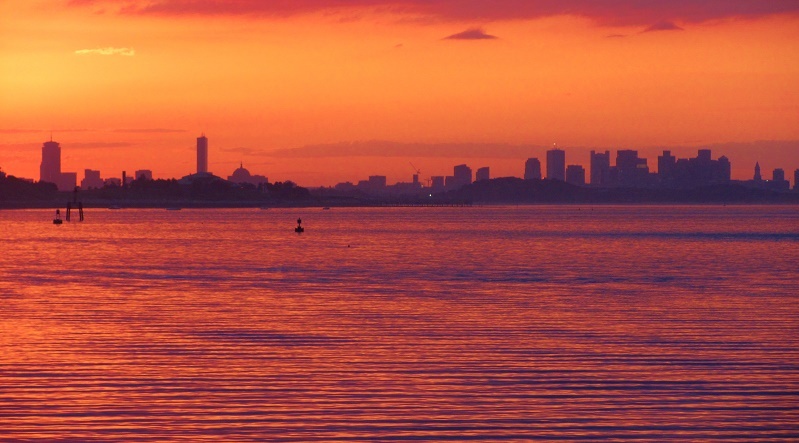 Following a lovely dinner we went for a walk at sunset in Webb Memorial State Park which offers a great view of the Boston skyline across the harbor. 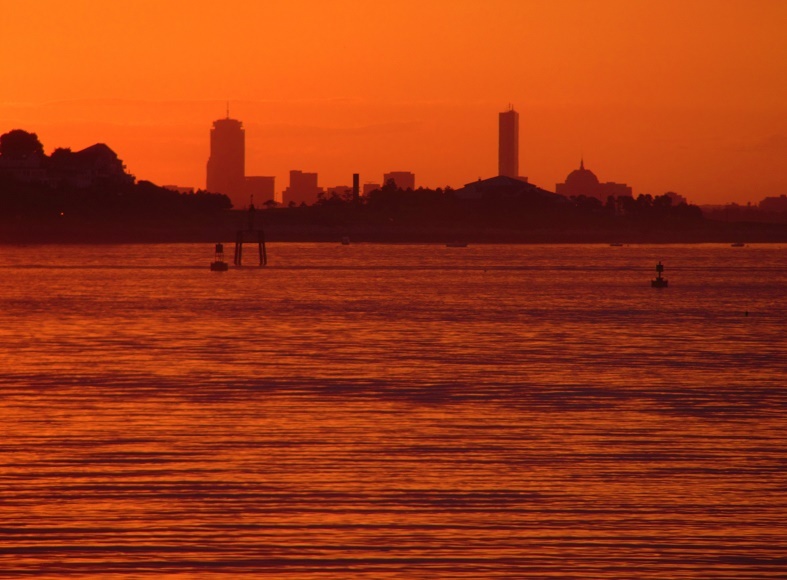 I was pleased to have been able to take a few great shots of the sunset and the red glow it cast across the Boston skyline in the distance. I had been visiting Lynda at her home in Weymouth for many years and had never been to this park before – which made the evening even more special. 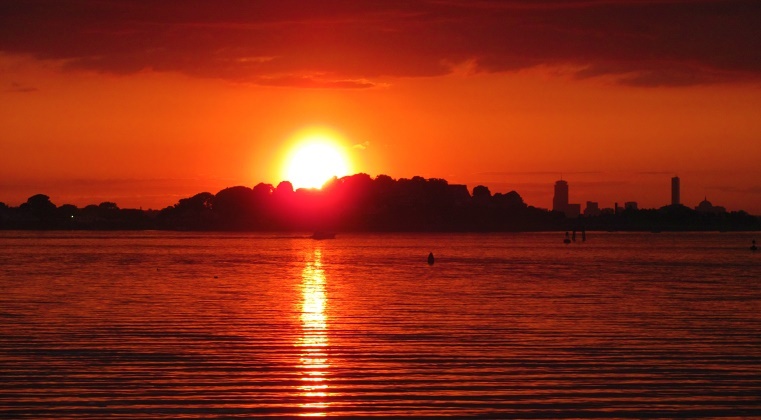 Learn more about Webb Memorial State Park in Weymouth, MA here. Lost Cowboy is powered by	WordPress 5.0.4 and delivered to you in 2.008 seconds using 61 queries.